President Museveni yesterday tried unsuccessfully for a second time to dissuade traders from carrying on with their strike after Kampala City Traders Association (Kacita) leaders failed to wring concession from government and banks to lower interest rates on particularly old loans. However, the traders’ leadership confirmed last evening that they will brief their members on what transpired during the meeting to chart the way forward. “We are not satisfied with what happened at the meeting but we shall leave it to our members to decide whether to keep their shops closed,” said Mr Isa Ssekitto, the traders’ spokesperson. Kacita officials spent six hours in a closed-door meeting at State House, Nakasero with the President, senior government officials and bankers but reportedly came out empty-handed. State House last evening confirmed that the President has now scheduled another meeting on Saturday at Serena Hotel to address the traders and explain to them why their demands of reducing the bank interest rates could not be fulfilled. Bank of Uganda Governor Tumusiime-Mutebile reportedly told the meeting that he could not push commercial banks to vary interest rates on loans. 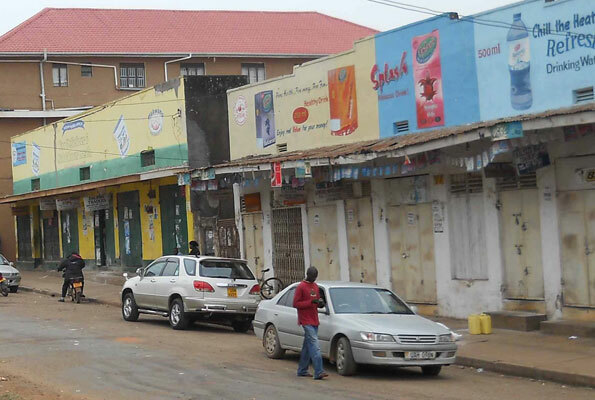 Traders in the capital and other upcountry towns closed shop on Wednesday and saying the strike will run for three days, arguing that banks are exploiting them by imposing hiked interest rates on money their members borrowed on different terms, and at lower interest rates. To cool the tension, Mr Mutebile asked for one week to study the situation with a view of reviewing the interests’ rates especially on existing loans. However, sources that attended the meeting said the governor’s mind was already set—not budging, but in order to bring an end to the meeting, he dropped in that breather. The President is said to have first sided with the traders, specifically castigating the banks for imposing interests on running loans, before he switched side, after a lengthy but persuasive talk from aging economist—Mr Mutebile. Mr Mutebile said the traders are paying the exorbitant charges on running loans because of the soaring inflation, which by close of last year rose to 30 per cent. He said, good times are ahead as witnessed by the drop of inflation to 27 per cent by close of last year. The President said striking was a bad practice which sends alarming messages to tourists and other investors. The President, therefore, urged Ugandans to understand the root cause of the inflation that has risen to 30 per cent as explained by the BoU chief. According to the statement, Kacita had demanded that banks should not charge new rates on old loans. In response, the Governor explained that Kacita’s demand requires time to evaluate its effects. But the bankers’ association defended itself, saying the money loaned to their customers comes with compound rates from the Bank of Uganda, which they extend to their customers. And if that rate is reduced, they will follow suit. They stressed that commercial banks want their customers to pay back their loans because failure to do so will translate to losses and yet banks are business entities that exist to make profit. The bankers also asked Kacita not to walk away from the negotiating table, saying it is the best way to deal with issues. They also explained that the changes in interest rates, affect only those accounts with changing variables but not those with fixed interest rates. This means that those who borrowed money “under variable arrangement”, the payment of interests will depend on the state of the economy. If the economy is doing badly as it is the case currently, the interests go up, meaning a trader will pay more money in terms of interest than what they earlier agreed on. And if it stabilises, the interest charges follow suit—going back to normal. Generally, interest rates depend on variables and can drop or rise depending on the situation. And for that, the traders argued that central bank should intervene, by first reducing the lending rates to commercial banks and at the same time urge banks to do business with a human face. President Museveni advised banks against exploiting salaried workers and added that banks should give their customers long payment periods but which are affordable. He also said banks should take it upon themselves to educate their customers in a language that they understand before signing a loan deal.